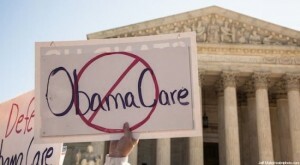 Defunding Obamacare: what's a constitutional conservative to do? A few days ago I had lunch with my friend Reid Ribble who is Wisconsin's 8th District Representative in Congress. I listened much more than I talked, as I knew Reid's time schedule was tight and I wanted to hear all that he had to say especially since he is in the trenches fighting the Big Government powers that be. Reid had read my blog article What a Constitutional Conservative republican to do with DC's No Labels? and while he didn't agree with some of its points he was very respectful about our differences of opinion, as I was to him and his. While I disagree with No Labels, Reid and I or Reid and Conservatives have a lot more in common than our disagreements. Reid's voting record in Congress is one the Best Conservative records in America to date and we need many more like him in Washington. Much of what Congressmen Ribble said at our Italian bistro lunch resonated with my heart and my thinking. It cannot be said of Reid that he became a Congressmen for the money and the perks as he left a very lucrative business and now works for a lot less and longer hours for the American people. The same can be said for Wisconsin's Senator Ron Johnson who also left a very lucrative business to serve the American people and to try and STOP the Debt debacle of Washington D.C. I admire both Ron and Reid who I have not only given speeches with them but I have had them in my Government classes to share their concerns over the Federal governments out of control spending and growth. Can we undo the regressive Progressivism of the last one hundred years in Washington DC and if so what is the Best way to do it? Ideally the American people would elect 100+ more Conservative Representatives in the House, another dozen Ron Johnson's or Ted Cruz's in the Senate and a true blue Conservative President along the lines of Ronald Reagan, Calvin Coolidge or Thomas Jefferson. But in our lifetime that is highly unlikely to happen. Therefore bear with me as I explain my concerns on the political front today. 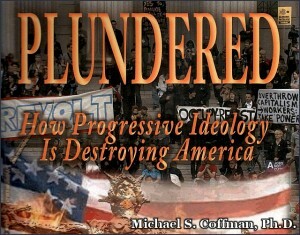 I'm mad as hell, I'm frustrated, I'm disgusted with the direction of our Nation, and the Republican sell outs in D.C! While at times I may disagree with Ron & Reid they are NOT sellouts, they are NOT the enemy! We must realize the immense corrupt power they are up against. Our Conservative representatives are not only up against the Big Government Left, they are fighting their own parties establishment and the American people. * The people choose Obama chief executive two times, the people choose the Senate we have and in the House true Conservatives are in a minority! We cannot govern from only one chamber of government. ½ of 1/3 of the federal government realistically has its limits. In a representative Republic (if it is that anymore) what are we-they to do? We must engage, dialogue with our representatives, properly educate ourselves on the issues with honesty and not with preconceived notions that are ready to lambast those we know who are taking the hits for us in D.C.
People who know me know I am traveling America with a clarion call for a return to our Constitutional Conservative republican roots but while republican rhetoric and passionate speeches from me, Allen West, Bill Whittle, Rush Limbaugh, Mark Levin, Jim DeMint and our Tea Party favorites may stir the people on to action, we the people still have to work with our representatives with reason, sound judgment and within the Rule of Law. We must not eat our own we need to support them within the reality of not only being a minority but working within the democratic process. To do otherwise invites disaster. Those out there that are calling for a Third Party, (as I have thought about in the past and could do in the future) are we ready for the consequences of such action? 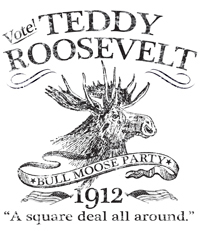 If we are not careful it would be a BULL & a MOOSE in a China Shop (Remember the sellout Progressive Republican Teddy Roosevelt) that would open the floodgates for democratic socialism of the likes we have not seen in the America since Woodrow Wilson & FDR. When good conservatives like Ted Cruz, Mike Lee and Tom Groves call for defunding Obamacare and good conservatives like Tom Colburn, Ron Johnson and Reid Ribble tell us this will create more trouble in the long run than it's worth what are we to do, who are we to believe? My fellow conservatives, tea partiers, libertarians, we need to be a wise as a serpent and harmless as a dove. We need to know when to hold 'em and when to fold em' and we need to support a wise strategy that will out fox the government wolves in Washington D.C. My fellow Constitutional conservatives please don't rush to judgment and jump on the bandwagon without a through investigation of the opposing strategies. 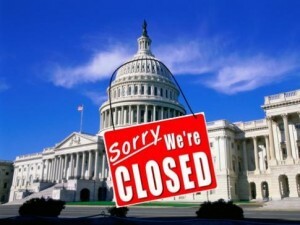 There might come a day when I too would call for a shut down of the government but not on this one. If you disagree with me on this one I understand but know we are on the same team and we need each other now more than ever before, a house divided against itself cannot stand against the Progressive-Liberal juggernaut that would love to see us eat our own as they prepare to eat us all. My fellow Americans we need prayer, wisdom and fortitude for our leaders and for we the people now more than ever other wise we lose our Republic. It might be too late. God forbid. *My next article will deal with the problem of "We the people" and "Trusting but verifying."